After Sara Mendelsohn and her husband arrived at a hotel for a wedding exhausted and hungry from traveling and were disappointed by their welcome bag, she decided to show people how it should be done. 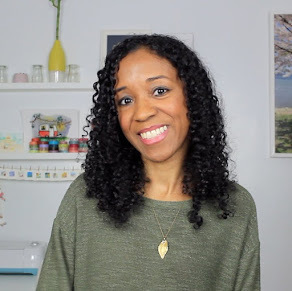 So she teamed up with her mom and created Sara's Gracious Goodies, a gift package service based in Long Island, NY that strives to make out-of-town guests feel instantly welcome. "Having received so many of these as a guest myself, I can tell you it's quite a delight to have goodies waiting for you at check-in," Mendelsohn says. "And it's a wonderful introduction to the special events that are to come." Today, her company caters to holidays, corporate events, bar/bat mitzvahs and, of course, weddings. "The last weeks leading up to the wedding are super stressful because there is so much that needs to get done," she adds. "Not only is it fabulous to outsource this final detail, but it allows for the bride and groom to make each guest feel appreciated by going the extra mile!" And she makes sure she brings NY businesses along with her; the company not only packages and hand delivers the bags, but also supports local vendors by working with them to provide quality products for clients. 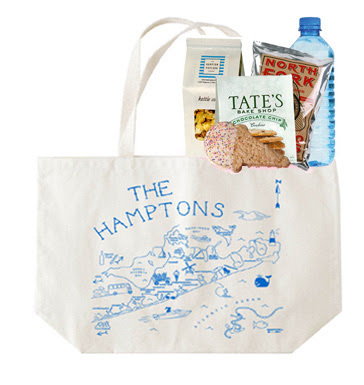 This week one of you will win The Long Islander package, which contains Poland Spring water, Kettle Corn Popcorn from the Hampton Popcorn Company, chocolate chip cookies from Tate's Bake Shop, North Fork Potato Chips and a seasonal Rice Krispie treat from Selma's all tucked into a Hamptons Maptote! (And we all know how much I love those bags.) Just leave a comment below and a winner will be announced on Friday! CONGRATULATIONS: Alissa is this week's winner! That looks like a nice goody bag. I have to admit the only ones I've ever personally received have been a bit lacking. I agree. This seems like a great nicque business-especially the wedding end. Corporate team building t shirts and power bars? I'd like to hear more. I suppose you tailor to the customer. How about premade newcomer welcome bags to sell to the town welcome wagon? Do they even have those anymore? Ooh, cute little totes with stuff inside,count me in!!!! This bag is too cute. Providing a treat like these for wedding guests is wonderful. The items in the bag make me nostalgic since I grew up on Long Island. we stayed in a b&b the night of our wedding and there were warm chocolate chip cookies waiting for us when we arrived (rather late), they were delicious! The other b&b I stayed in was awful, guess it's a mixed bag. I'd be so thrilled to find this in my hotel room! Sounds like a great bag of treats! This sounds like such a yummy gift bag :) *Thanks* for the giveaway!